Lisa Schlein of the Voice America summarized the warning by U.N. High Commissioner for Human Rights Michelle Bachelet that the rise of populist nationalism threatens many of the freedoms, rights and protections enshrined in the 1948 Universal Declaration of Human Rights. She said its fundamental principles can be applied to meet the challenges of today, such as ensuring equal rights for LGBTI people and protecting the right to life, food and health in the face of climate change. But, she warns, many of these rights are under threat from politicians pushing a nationalistic agenda. 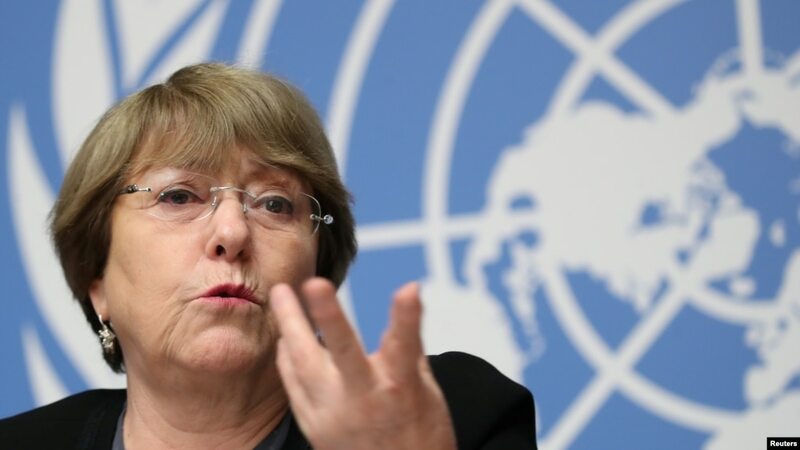 “When leaders… speak against migrants or a sort of hate speech or xenophobic speech, you are giving license to other people not to respect people’s rights,” Bachelet said. Leaders are responsible for what they say, and must lead by example, she added, dismissing the argument sometimes made by developing countries that human rights are a Western concept. This entry was posted on	December 6, 2018 at 17:40	and is filed under Human Rights Defenders, OHCHR, UN.